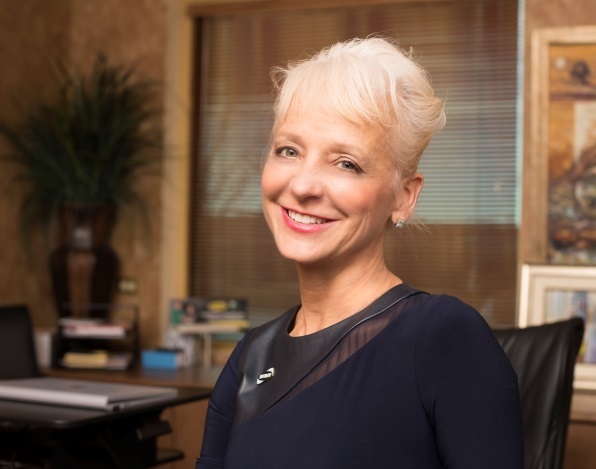 Kelly Tomblin serves as CEO of INTREN, LLC, a leading utility solutions provider based in Union, IL with 15 regional offices from coast-to-coast. INTREN is the largest Women’s Business Enterprise certified specialty utility contractor in the country and is proud to have both a female Chairwoman of the Board and a female CEO, that are strong supporters of women empowerment initiatives. Tomblin has more than 27 years in the domestic and international energy industry as a lawyer and business executive. Her unbridled energy, advocacy, and vision to do power differently have distinguished her in the highly competitive industry and in 2016; she was CEO of the Year at the Platt's Global Energy Awards. Both on and off the job, Kelly is a passionate advocate for women and diversity and is committed to improving communities and the lives of others. She speaks worldwide on organizational alignment, leadership, and gender equality. She spearheads strategic solutions to meet and exceed her customers’ business needs and believes that healthy organizations succeed and expand the human potential. Additionally, she founded Jamaica’s Women in Energy; an organization designed to uplift women in the energy industry and launched the JPS Foundation, a non-profit Jamaican organization supporting schools and child nutrition. She is a former United Way Platinum Award recipient and served as a Board member for Junior Achievement. I had a very nontraditional road to my current job. As a journalism major, my first job was with a local paper and radio station. I learned a lot about speaking to various audiences and the public at large and how to shape my messages according to their concerns from that experience. After a number of jobs, I went back to law school, which helped me hone my critical thinking, while at the same time forced me to see both sides of the story. It also furthered my communication skills. My MBA was probably my favorite experience and it added an element of analytical and statistical thinking while helping me focus on organizational dynamics. I was fascinated with leadership during this part of my education. My career path has been one of twists and turns, but early on I became embroiled in the energy industry. As an environmental and M&A attorney, I learned about the industry from a variety of perspectives and saw how passionate people can be about their particular position. When comparing merging companies, I learned about what made a company successful and what hindered that success. 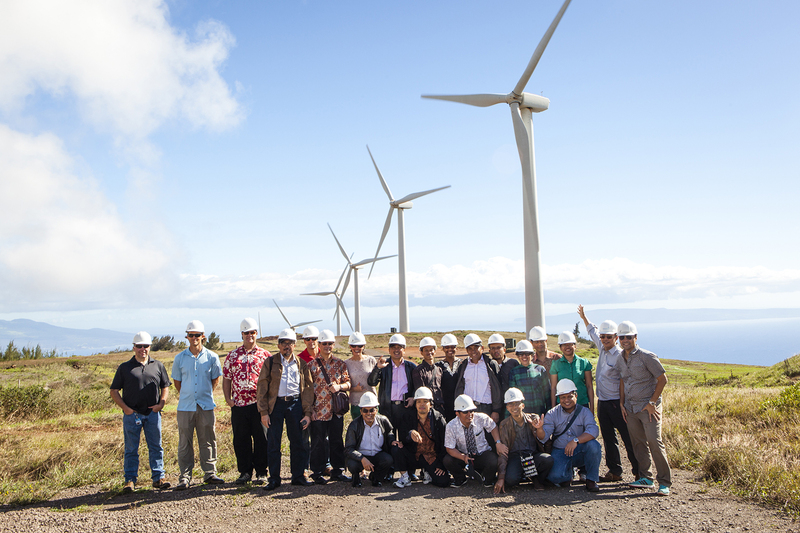 As a leader in the energy industry, I learned the most important things—how to build bridges and connect with a diverse group of people. Many changes have happened over the past 27 years when I first entered the energy sector. Women have slowly assumed more leadership positions—usually after one or two men in the organization became convinced of their positive impact and rallied for organizational change. Deregulation in many regions propelled women leaders because regulatory expertise became critical. In addition, as labor competition became more intense, women leaders were invited more often to help fill critical roles. Finally, published reports on the positive impact of women on boards and executive teams also helped draw out both women and their supporters. INTREN and the organizations I worked in before have been active in reaching out to young women early in their education to interest them in both the energy sector and in our company in particular. We support STEM initiatives, while at the same time making sure women know that we need a variety of skills in our sector. Importantly, we model having several women on our Board, diverse women in leadership roles and the inclusion of what is typically thought of as “feminine traits” in our overall leadership assessment. We also take the same risks with women that have been traditionally reserved for men. In addition, we have Employee Resource Groups and Women in Energy conferences. We try to show how much fun it is to be in Energy. Some are and some are not. As I said, 5 of the 9 votes on our energy construction Board come from women. We have a woman chairman and a woman CEO. Notwithstanding, we still believe we have more room at the top. I encourage women to be willing to take jobs “beneath” them, move geographically and take risks with their career. I also underscore that we can’t do all things perfectly—mother, executive, etc. and that their best is usually good enough. INTREN is a certified WBE and the largest women-owned speciality contractor in the United State. Internally, we have a Women’s Power Group, along with development and leadership training. We also mentor smaller diverse companies within our sector despite the fact they are competitors. Every month we also report, diversity spends to our customers. Our sector should hold leaders accountable for developing future diverse leaders. We should also make sure traditional masculine and feminine traits are valued equally. Finally, we should allow for women in all areas—linemen, technicians, field personnel, project managers-- and allow them to be different. We should not insist on the dress code of the past.